A Sidewalk Talk Q&A with Bruce Katz and Jeremy Nowak, authors of “The New Localism: How Cities Can Thrive in the Age of Populism,” on the new era of public, private, and civic collaboration. In the past few decades, Pittsburgh has rebounded from the collapse of its steel industry to become a global leader in robotics. Indianapolis has broadened its sports-based economy (Kurt Vonnegut famously said city residents passed the time by going to the speedway one day a year and playing miniature golf the other 364) to include a robust life sciences industry. Copenhagen has gone from an unemployment rate of 18 percent into one of the world’s wealthiest cities. There is no one recipe for urban revival, but what these three cities (and others) share is an emerging style of local co-governance that joins public, private, and civic forces — a collaborative movement identified by Bruce Katz and Jeremy Nowak of the Brookings Institution in a new book, The New Localism: How Cities Can Thrive in the Age of Populism. In an era of global competition, low-cost technology, and declining federal programs, the power to solve problems is shifting downward to cities. The result, argue Katz and Nowak, is a model of “networked governance” that encourages local innovation to tackle complex urban challenges such as economic opportunity, climate change, and infrastructure. 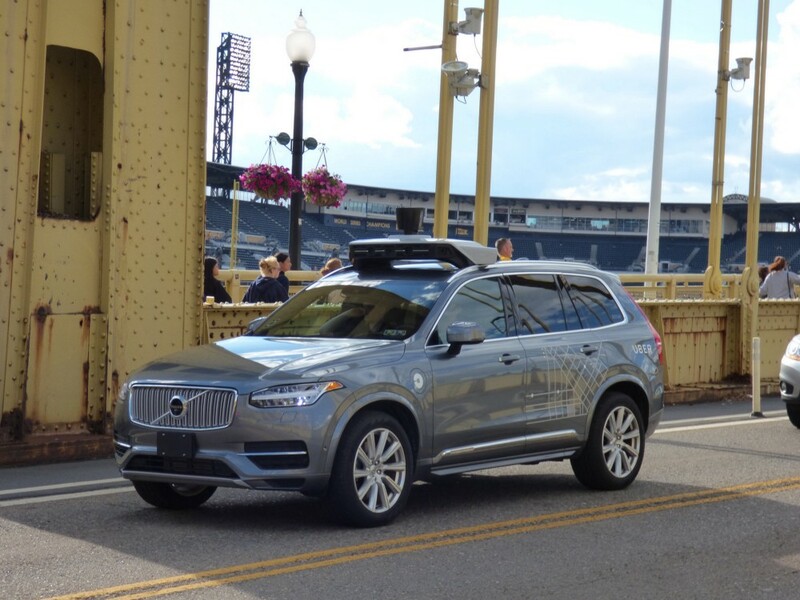 Pittsburgh’s revival, for example, required an extended and concerted focus on robotics by Carnegie Mellon researchers, local entrepreneurs, philanthropic investors, and city policymakers. Indy’s push for economic diversity owes much to a civic organization devoted to long-term regional growth that consists of 60 heads of local companies, foundations, and universities. Copenhagen’s rise occurred thanks largely to a public-private corporation that developed public land and reinvested the resulting real estate revenue into transit and other local necessities. Katz and Nowak spoke to Sidewalk Talk about the key lessons of new localism, and how cities everywhere can adopt them for their own. What is the nature of the moment right now that makes cities either so well-equipped to be problem-solvers, or need to be problem-solvers in a new way? Katz: I would say that there has been a de facto memo sent out by the national government and most states to cities and counties: you are in charge of the future. You, literally, are going to need to figure out how to fund those things, those activities — whether it’s innovation, whether it’s infrastructure, whether it’s inclusion — that really set the platform for growth, prosperity, and equity. That the nation-state really had become sclerotic and non-entrepreneurial. It lacks the discretion and the agility to adapt to what is fast-changing societal challenges and fast-changing technological disruption. What cities have begun to do, it’s several decades of pulling together of lessons that (a) cross-sector governance really matters, and (b) there’s an opportunity for cities to recognize their wealth — whether it’s within public assets, like in the Copenhagen example, or in private and civic wealth, as in the Pittsburgh and Indianapolis examples. … If they can recalibrate the public, private, and civic wealth of the city and re-channel it, then they have an opportunity to problem-solve at scale. Is it fair to say, in the highly theoretical example of the nation-state reemerging in a strong way, you would still have this need for new localism, given all the other forces of globalization and the knowledge economy? Nowak: Absolutely. No matter what kind of populist movement pops up in the U.S. or in Europe, there is a set of global institutions that are not moving backwards, and the nature of our economy is not going backward. It’s not a 1950’s national economy, if even that was a national economy. And so the reality is, that the places that we’re looking at and the best leadership that we engage with — they are living within that intersection of need and capacity. And that’s where the innovation is coming from. Katz: What really marked 20th-century problem-solving was the level of specialization and compartmentalization. You would have a Department of X, a Department of Housing, a Department of Transport, a Department of Education. Each agency would have very specialized staff, and they would treat the issues or challenges within their topic or subject-matter in a very specialized and constrained way. Cities are the opposite of that, because they understand the interplay of different kinds of issues: The best solution to a transport challenge is to build housing closer to transit. The way we innovate our products, in the world today, is through collaboration and networks. The way we innovate on challenges is through collaboration and networks. This is just a different way of problem-solving that puts cities at the center of the debate. Pittsburgh is a case where robotics and the innovation that emerged around that sparked a very fulsome economy over time. What do you see as the key lesson there? Katz: I think the key lesson is around long-termism and risk capital, because, in Pittsburgh, the bottom literally dropped out when the steel economy imploded in the late 1970s. And the build-back really took several decades, but it took a collection of universities, corporations, philanthropies, local governments, state government, betting on the future, betting on technology that practically nobody could understand. Think about all the things Pittsburgh is good at today: robotics, artificial intelligence, machine learning, big data analytics. We didn’t even use these terms. Autonomous vehicles. We didn’t even have a language for these things. Pittsburgh took risks out of their philanthropic sector and out of other sectors to build the future and to accept failure as they went along the way. That is long-term investing, and when you’re really good at it, it pays off. Nowak: The great industrial cities — whether they were Detroit, or Pittsburgh, or any others that we could talk about — they were innovation centers, just in a different time, with a different set of products. Pittsburgh continues to be a maker city. It just makes different stuff. And in many ways, we like that the story of Pittsburgh, with the story of seizing the future, is a story not only of disruption — it certainly is that — but it’s also a story of continuity with its own maker past. I think that’s a really important lesson here. Bruce raised long-termism. Given the political nature of term limits, how do you make sure that cities, and in particular, city leadership, has that long-termism ingrained? Nowak: When you go to a place, one question Bruce and I ask is: who are the keepers of the long-term agenda? Now that long-term agenda may change, but a place has to have a keeper of a long-term agenda. Because you’re right about political administrations. They come and go. They move in four-year, or eight-year, cycles. And so the long-term agenda has to be civic and private and yet has to be able to negotiate with, and provide a language for, and a framework for, the public sector. At the end of the day, places that do well have got keepers of a long-term agenda. That was certainly true with our case study in Indianapolis, certainly true with Pittsburgh. Katz: Governments, whether they’re the federal government or a state government, can be hijacked by partisanship, and they often are. It actually rewards ideological purity and partisan combat. At the city level, you tend to be rewarded for pragmatism. And people who have strong commitment to place — I think they’re just more likely to think about the past, the present, and the future in more complicated and intricate ways than people who represent cities, and counties, and other places in far-off capitals. I just think there’s something about networked governance that reinforces long-termism and good stewardship. In 1999, the Central Indiana Corporate Partnership formed and brought Indianapolis from that anchor around a sports economy to a much more robust life sciences industry. How does an organization like that emerge? How does it work? Katz: This is an institution that really exemplifies networked governance. It’s basically populated by corporations — the CEOs of corporations, philanthropies, and universities — who then work with the public sector as long-term stewards. And I think what is remarkable about this story is how they perfected the mechanics of collaboration. They talk about: we need to decide, not to discuss. Running a city is not like a legislature. It’s not a debating society. You have to make choices, particularly when competition and globalization is breathing down your neck all the time. And you have to organize private and civic wealth in a way that enables you to take risks and make investments in what you’re good at. And I think Indianapolis is the most formal expression of that in the United States. Copenhagen is an example of the ability to unlock value through existing public assets that have been overlooked traditionally by cities. Why is this approach such an important model to study? Nowak: We are in a bind, in this country and in many other places. On the one hand, we are filled with cities and states with pension liabilities and other unfunded liabilities. The budgets are taking a hit, and yet, they are the budgets you would like to look at for what we call investments in the future. So they always say, the only thing we can do is to tax more or cut back in spending. And then on the other hand, you have a place-agnostic private sector, which of course is going to go where the best returns are. When somebody comes to run a city, they’re kind of caught between those two things. The big a-ha is that the public sector sits around an incredible amount of wealth, but it is wealth that is untapped. Cities know what they owe in their liabilities, but they do not know what they own. Most of them cannot construct a balance sheet. Nobody really understands the assets side, including the market value of those assets, nor do many people ask the question: if you had more productivity in the management of those assets, would you be able to generate enough resources to invest in the future and/or to not have to go through the same taxing or fee mechanisms that are usually the default way to raise money? We were looking for — excuse the expression — the “third way” that exists out there, which is to take public assets, manage them in a disciplined, private-sector way, and utilize some of the benefit of that wealth that they’re creating to invest in the future. Katz: What they perfected, particularly in Copenhagen and Hamburg, is a publicly owned, privately manage, professionally driven corporation. That was the innovation, and that was the way they unlocked the public assets and then had the yield directed toward a public good — in this case, the transit system. I think this is a model which cannot be just replicated or stamped into the U.S. We are going to have to adapt it to our system, our legal system, our government regimes, and the fragmented authorities we have. But it is a real lesson about the wealth of public assets and how they can be applied to finance infrastructure or other typical challenges. You both point out that cities know what they owe and not what they own. How much of that is a data problem? Nowak: There is a huge data problem. If you are in a city with lots of vacant land, that, let’s say went through a period, where it lost a lot of population — they can’t even untangle titles in many of these places. Or when you look at the ownership on the data side, it will be spread out over five, six, seven different public agencies. So you have a problem to just put together the data. Katz: I think this is probably about data, but it’s also about in the United States, the public sector being degraded and the public sector being overly fragmented. We’re the victim of legacy institutions, to a large extent, and special-purpose institutions. It gets back to the specialization comment I made earlier. These are institutions that were created to carry out specific functions, and what that ultimately did was undermine a perspective of the city or metropolis as a whole. You have a whole chapter on the need for new localism to incorporate inclusion into every stage. What are some of the approaches you found to be most effective in addressing this particular challenge? Nowak: It’s really hard to think about how you, over the long term, include people in the growth parts of the economy if they don’t have the skills to attach to the labor market and to be able to move forward in the labor market. And there you are talking about a variety of things that we talk about in that chapter. You are talking about innovation in the K-12 system. You are talking about high-quality early childhood education, and where you get resources for that, how you know whether it is quality or not. We are talking about K-12 to career — so how do you utilize the community college systems, which some mayors have done a good job of utilizing, to maximize connection to the labor market? We like the cradle-to-career system in Louisville, and we talk a lot about that in the book. Innovation is at the heart of the problem-solving that has to occur for cities. You write at one point, “Cities must make their innovations visible to the world.” How do they do this most effectively? Katz: What makes Pittsburgh such an interesting place is when you go around Pittsburgh, you sort of see the innovation happening. You see the autonomous vehicles driving. You know when you are in the robotics cluster. They are not hiding their innovation. They are almost celebrating it. So I think the cities of the future — this is really meant to be more than a branding exercise, more than a marketing exercise — they need to celebrate what makes them special and distinctive in the world, and to take out from closed universities or facilities. They want to show the world, communicate what is really this remarkable level of product and process innovation that’s emerging. Nowak: There is this flourishing of city-to-city networks globally. So on the one hand you have problem-solving locally, but you have the exchange of ideas and information and innovations that are happening globally. And whether it is around how to mitigate the effects of pollutants in watersheds, or how to deal with transportation issues, you are seeing city-to-city collaborations. And I think that is the way of the future.